Travelvee - Innovative Booking Platform! Oriented directly to the market for unoccupied rooms - which will be sold on ex... Travelvee - Innovative Booking Platform! Oriented directly to the market for unoccupied rooms - which will be sold on exclusive terms, which are discussed between the hotel and the buyer - confidentially, of course with the help of Travelvee platform. 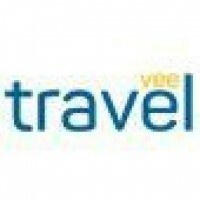 Travel, booking - Travelvee! Innovative Booking Platform! Travelvee - Innovative Booking Platform! Oriented directly to the market for unoccupied rooms - which will be sold on exclusive terms, which are discussed between the hotel and the buyer - confidentially, of course with the help of Travelvee platform.